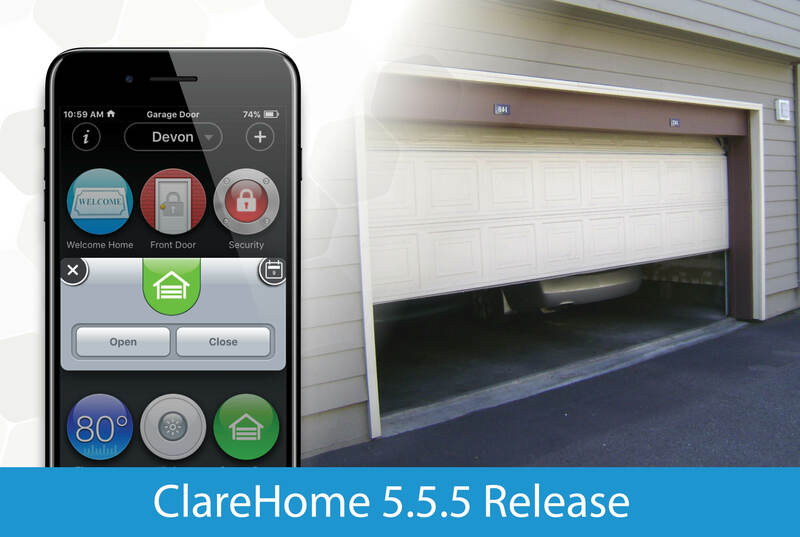 The ClareHome version 5.5.5 update is rolling out! This update includes Chamberlain MyQ garage door support, user-customizable PIN's for Resolution Helix Security systems, as well as URC remote and general bug fixes. Be sure to read more for additional details.